Venture capitalist firms have set the rules for investments in startups for a long time in China, but now Alibaba and Tencent moved into the industry, those rules have changed dramatically. And not for the better, says business analyst Shaun Rein, author of The War for China’s Wallet: Profiting from the New World Order, to US News. These days, China’s big tech companies appear willing to overpay for the development of new products that look good in the eyes of their shareholders, Rein says. This is bad, he adds, because new companies might need to struggle less with developing a workable business plan and simply focus on the concept they put forward. Competition exists among investors in China’s startups, as well. If “you come up with something cool, very soon there’s going to be investors hanging around your doorstep because there’s just so much money here and there’s so few investments that investors in many ways have to beg to get in on deals,” Rein says. To compete against the wealthy tech giants – namely, AliBaba and Tencent – experts say VCs need to do a better job at selling their services and expertise. 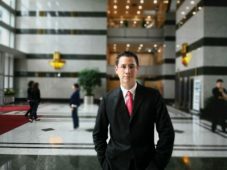 This can prove challenging, Rein adds, because many venture capitalists in China lack entrepreneurial experience: “Most of them are deal-makers,” he says. Are you looking for other experts who give their take on China’s digital transformation? Do check out this list.